Since the 21st of March, 2018, “Novaturas” is listed on the Warsaw and Vilnius Nasdaq Stock Exchanges. The company sees this debut as the start of long-term cooperation with local and foreign investors and a strong foundation for a sustainable partnership. “The debut on the stock exchanges has once again proved our high professional standards and openness of the company. Transparency in practice, creating added value services, excellency in corporate governance are one of the main requirements for listed companies, which are also in line with core values of “Novaturas”. We believe that by assimilating this experience we are becoming even more reliable partner for our customers, business and financial community“, – says Audronė Keinytė, CEO of “Novaturas”. According to the head of the tour operator, award winning successful IPO has been achieved with the help of extensive team: “Nasdaq” team, representatives of the Bank of Lithuania, “Swedbank”, “TGS” teams and partners from Poland – “PKO BP”, “Trigon” and “KL Gates”. 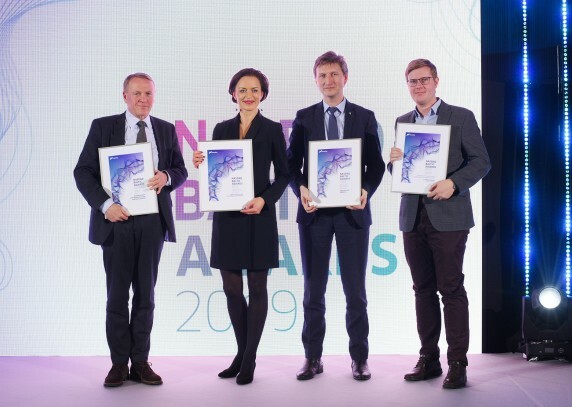 Biennial ceremony co-hosted by the Nasdaq Baltic stock exchanges and Nasdaq CSD in Tallinn, Riga, and Vilnius honors companies that have achieved best results in corporate governance, transparency and investor relations. Awards ceremony also highlighted the most significant events that had the biggest impact to the Baltic capital market’s within two years. Three remarkable debuts on the stock and bond markets were highlighted as the “Stock Exchange Event of the Year” in each of the three Baltic countries: “Novaturas” in Lithuania, “Tallinna Sadam” in Estonia and “Altum” in Latvia. “Novaturas Group” is the leader of the tour operator market in Lithuania, Latvia and Estonia, in terms of both sales value and passenger volume. The company was established in 1999, became the market leader in the Baltics in 2004 and has maintained the leading position ever since. Aside from the Baltics, Novaturas has begun offering its products in Belarus, where they are retailed through local partners. Since 21 March 2018, Novaturas shares have been dual-listed on the Warsaw Stock Exchange and on Nasdaq Vilnius.